It is natural that the temperature will be cooler during the winters and warmer during the summer and that might be quite uncomfortable for people dwelling in those regions. As a result, people try out different methods of cooling and heating during the summer and winter season respectively. One of the effective way of making the climate as per requirement is the geothermal heating and cooling. Geothermal heating and cooling involves extracting and dissipating heat to the ground. This becomes possible because the ground absorbs around half of the suns’ energy. The result is that the ground remains at constant temperature almost throughout the year. Here it must be noted that air source heating might not be a great alternative here because the temperature of the air varies greatly during the summer and winter temperatures. The method of geothermal heating and cooling generally takes the advantage of the constant ground temperature with the help of the piping system known as the loop. It is water that circulates in the loop in order to exchange between the home, the ground source heat pump, and the earth. The best thing about geothermal heating and cooling is that they are a lot more efficient than a lot of other heating and cooling systems. The two most important parts of geothermal heating and cooling include heat pump or the inside unit and the ground loop which is typically the underground pipe that is connected to the heat pump. 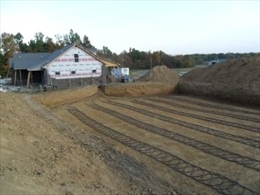 During the winter season, in geothermal heat pumps, the ground loop circulates water that absorbs heat from the ground and returns it to the indoor heat pump. The heat pump in turn extracts heat from the water and circulates it throughout the home as warm air. When the heat from the water is removed it is again sent back to the underground pipe to extract more heat from the ground. Similarly, during the summer season, the indoor heat pump extracts heat from inside the house. As a result, the cool air is left behind to be surrounded inside the homes through the vents of your house and it functions like an air conditioning. The heat that is extracted from the home is dissipated into the ground with the help of the ground loop. Once the operation of geothermal heating and cooling has been explained, let us try and understand the advantages of this particular method of heating and cooling. It is true that the installation cost of geothermal heat pumps might be higher but they have a low operating cost so in the long run, the investment proves worthwhile. 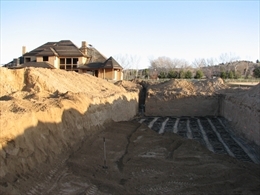 Geothermal heat pumps have a quiet operation because they do not have an outdoor unit. Moreover, the mode of geothermal heating and cooling is quite reliable because they are not subject to easy wear and tear caused by snow, rain, ice or any kind of vandalism. Another major advantage of geothermal heat pump is that they are environment friendly and have lesser carbon footprints and they are also considered a clean and safe method of heating and cooling, as there is no emission of carbon-monoxide when the geothermal heat pumps operate.